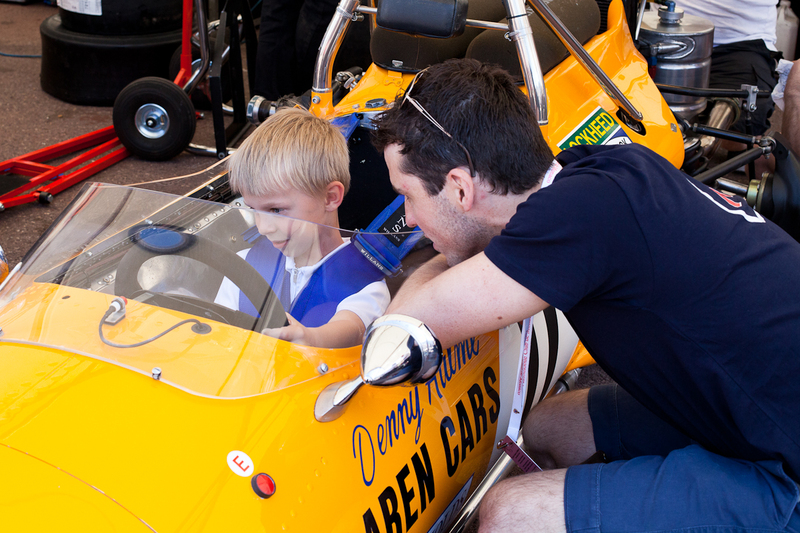 Not difficult to guess what this little boy wants to be when he grows up. 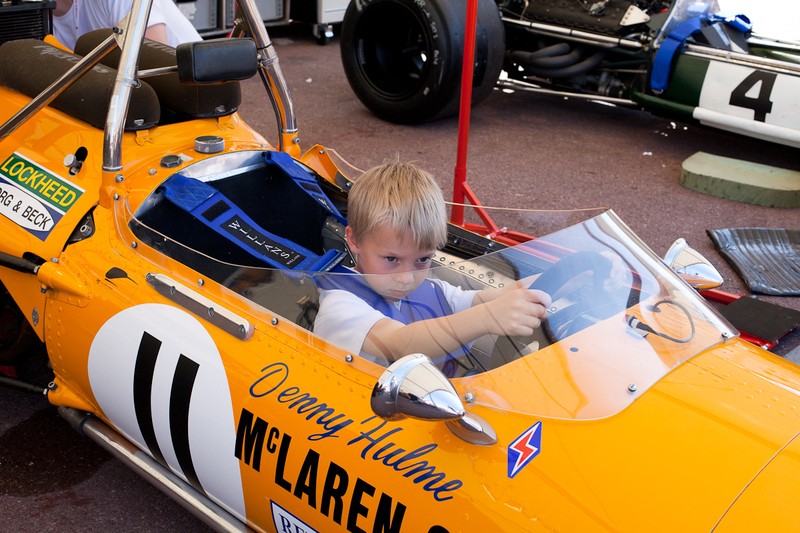 He's sitting in Denny Hulme's McLaren M14A from 1970. The imagination is in high gear. 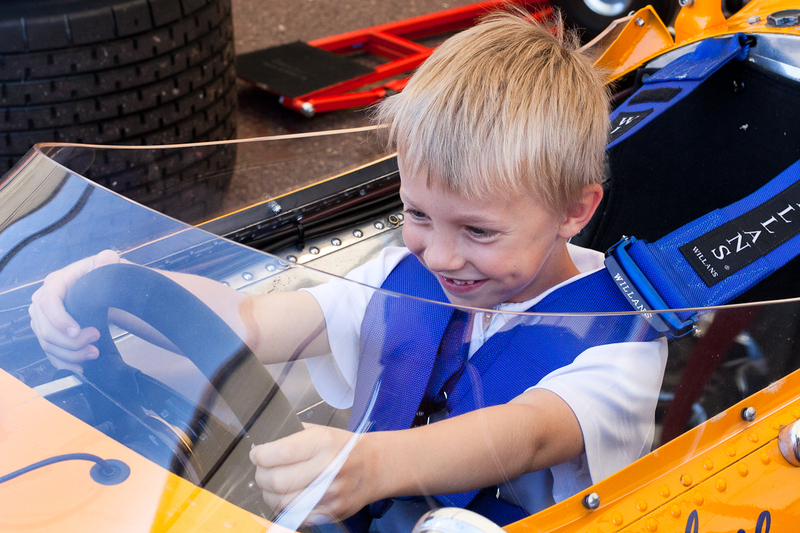 The kid is so happy - it's good to see that boyish wonder! Wow, he looks so happy and enthralled! - hope the weather stayed fine for yesterdays race Jilly. A wish come true for the youngster. Great to see this car, I've been driving past it each week whilst it's been sitting in a garage showroom near my home in the UK. That's interesting. I think it won its class.